1. America’s National Parks – America’s National Parks (previously National Park Tours) provides information on each of the 58 national parks. 2. Compass – Compass view with location display and geo-tagged notes lets you not only steer in the right direction, but view maps and keep notes of the places you visit. 3. Dining Deals – Food Coupons – Coupons for your favorite national restaurants. 4. Field Trip – Field Trip is your guide to the cool, hidden, and unique things in the world around you. Field Trip runs in the background on your phone. When you get close to something interesting, it pops up a card with details about the location. 5. Food Planner – Keep an integrated meal plan, grocery list, and recipe collection that can sync between multiple phones, tablets, and the web. Food Planner allows you to quickly plan your daily meals using a selection of recipes downloaded from all of your favorite cooking blogs and recipe sites. 6. Free Zone Wi-Fi – Free Zone scans and connects you to free wifi networks. As soon as you’re in range of a free wifi network, you’re automatically connected! 7. GasBuddy – Find Cheap Gas Prices! GasBuddy helps you find the cheapest gas prices with just one tap! 8. Google Goggles – Search by taking a picture: point your mobile phone camera at a painting, a famous landmark, a barcode or QR code, a product, or a popular image. If Goggles finds it in its database, it will provide you with useful information. 9. Google Sky Map – Open sourced and donated by Google. 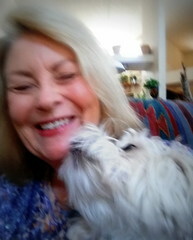 10. iRV2 Forum – iRV2.com is the leading online community for RV owners. 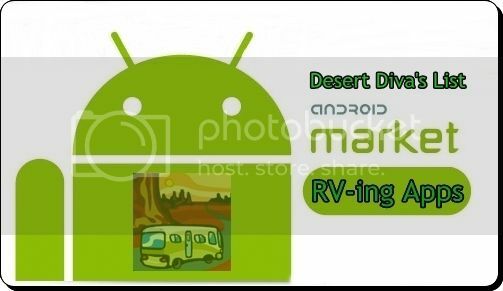 This app allows you to access forums on your Android device so you can post questions from the road or campground, upload photos to let other RV enthusiasts know what you are up to. 11. PDA Net+ – PdaNet+ now contains both PdaNet and FoxFi. Turn your Android phone into free WiFi hotspot or USB broadband modem. No rooting. No tether plan needed. 12. Point Inside – Find anything in malls & airports. Complete directories and interactive indoor maps of over 1150 malls across North America, over 100 airports worldwide and dozens of other attractions including theme parks and museums. 13. Power Bubble – It uses accelerometer to help you test (almost) any object for plumb/level. *Plan your road trip with a directory of every interstate and exit in the U.S.
15. RV Camps Locator – RV Camps Locator provides you with comprehensive RV park information on nearly 20,000 campgrounds across the United States. 17. Satellite AR – Ever wondered what satellites are flying above your head when you look up? This app will show them to you using augmented reality. Point your phone’s camera to the sky, and small icons track the locations of various satellites. Those in sunlight are colored yellow to help you look for them on a clear night. 18. Scanner Radio – Listen to live audio from over 4,000 police and fire scanners, weather radios, and amateur radio repeaters from around the world (primarily in the United States and Australia, with more being added daily) on your phone. – Support almost all popular USA television channels including: CNN US, CNN International, BBC UK, BBC News…and much more channels being updated daily. 20. Wal*Mart Overnight Parking – “WalMart Overnight Parking” app helps you to know which Walmart’s allow overnight parking , has built in turn by turn navigator to get you there. Also has a RedBox locator that can find any redbox in the USA.